Let the games begin. 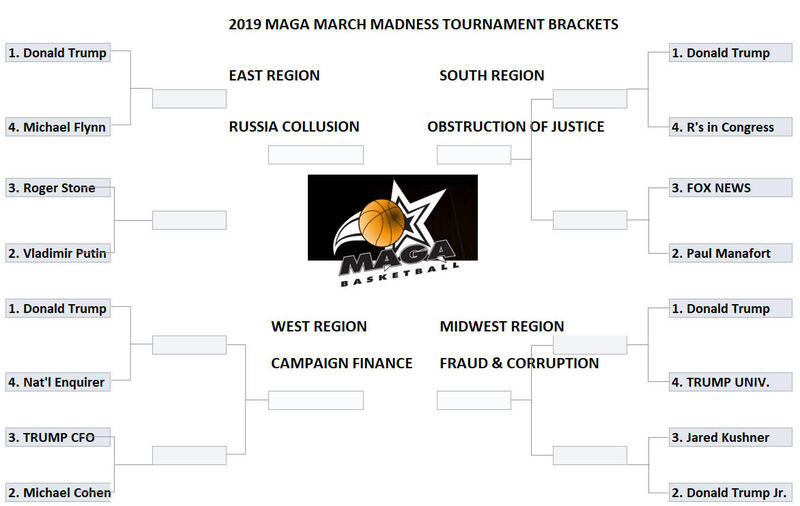 Don’t forget to send in your own bracket picks, along with a check for $500, to Humor Outcasts’ MAGA March Madness tournament pool. The winning entry just might win the restoration of democracy in America (unless Trump wins, that is, in which case God help us all). 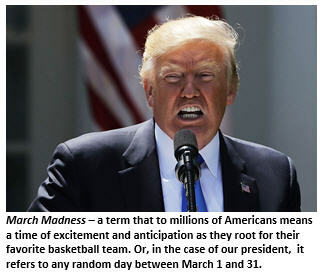 Send in your brackets to NoOneIsAboveTheLaw@InPrisonYouCantTweet.com. too bad sportsbook didn’t have this info ahead of time!